The increased use of Internet in the last decade has led to problematic behaviour that can affect people’s individual and social functioning, especially among younger individuals. This study aimed to explore the relation between problematic Internet use (PIU), attachment style, and perception of family functioning in adolescence. Participants were 306 Italian adolescents (62.7% females and 37.3% males) aged from 15 to 18 years (M = 16.07, SD = 0.91). Participants completed the following measures: the Young’s Internet Addiction Test (Y-IAT), the Relationship Questionnaire (RQ), and the Family Assessment Device (FAD). The results of regression and relative weight analyses showed that family functioning and attachment styles were important predictors of adolescent PIU. 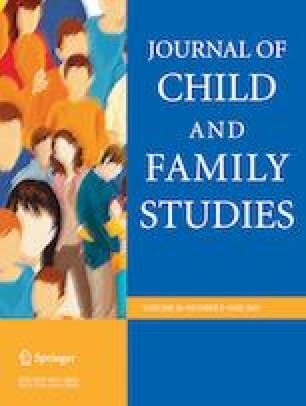 In particular, a greater perception of family members as being interested in and placing value on each other’s activities and concerns (i.e., affective involvement) and a greater perception that tasks were clearly and equitably assigned to family members (i.e., roles) were associated with less PIU. In contrast, a greater anxious-preoccupied attachment was associated with a greater risk of PIU. In line with these results, it would be recommendable the development of family-focused prevention programs for all adolescents at risk of PIU before they develop a full Internet addiction. Further research on this topic is needed to develop a specific, autonomous, and comprehensive diagnostic process for PIU to avoid conceptual and treatment overlap between PIU and other kinds of addictive behaviors. We thank Diane Williams, PhD, from Edanz Group (www.edanzediting.com/ac) for editing a draft of this manuscript. M.C. designed and executed the study, assisted with the data analyses, and wrote the paper. D.B. and S.M. analyzed the data and collaborated in the writing of the manuscript. F.D. and C.C. collaborated in the design and writing of the study. A.G. collaborated in the writing and editing of the final manuscript. All procedures performed in studies involving human participants were in accordance with the ethical standards of the institutional and/or national research committee and with the 1964 Helsinki declaration and its later amendments or comparable ethical standards. LUMSA University of Rome provided IRB approval for this study.